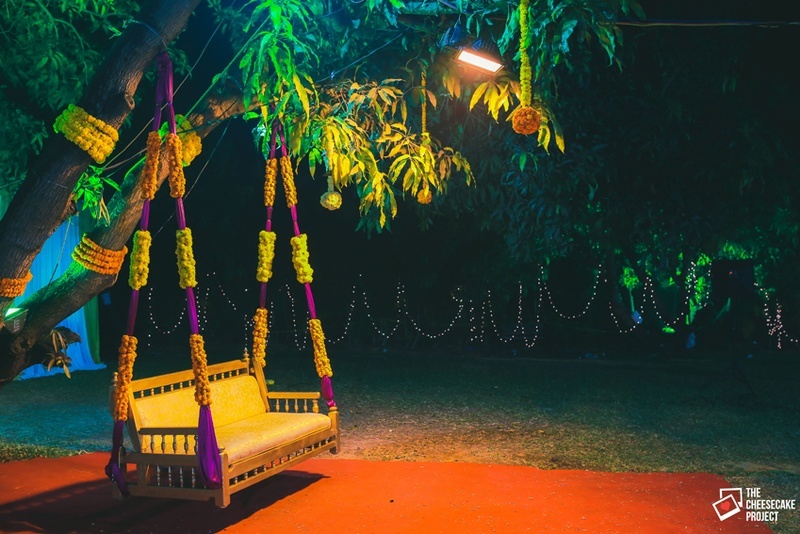 A gorgeous mini destination wedding held in the beautiful space at Pluz Resort, Silvassa Ishita and Alok got together and whipped up a wedding that was not only downright beautiful but also inspirational in it’s own little way. 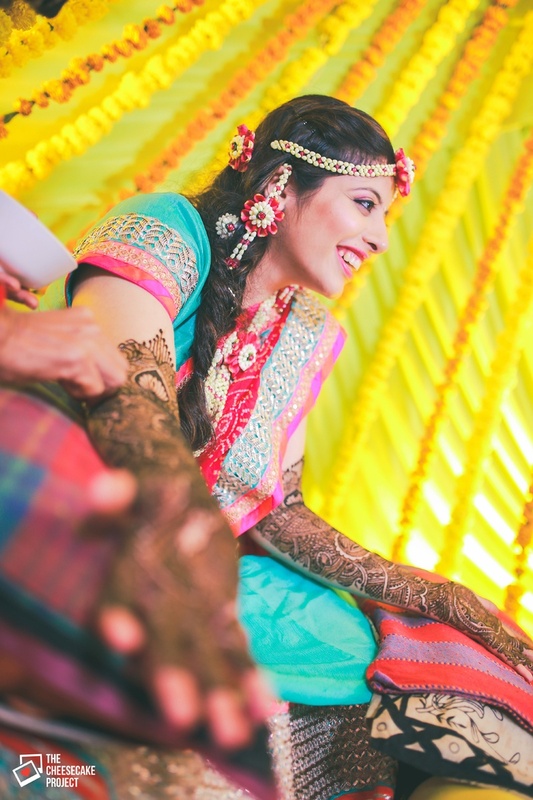 An all marigold set up with vibrant drapes is a must for a truly desi mehndi ceremony – don’t you agree? 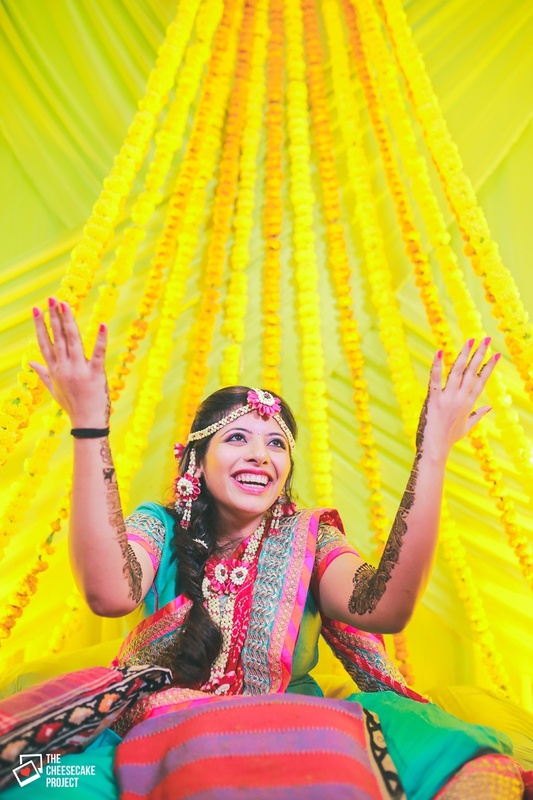 Ishita sat under bright yellow drapes with strings of marigold flowers cascading over it, creating a waterfall-like effect. 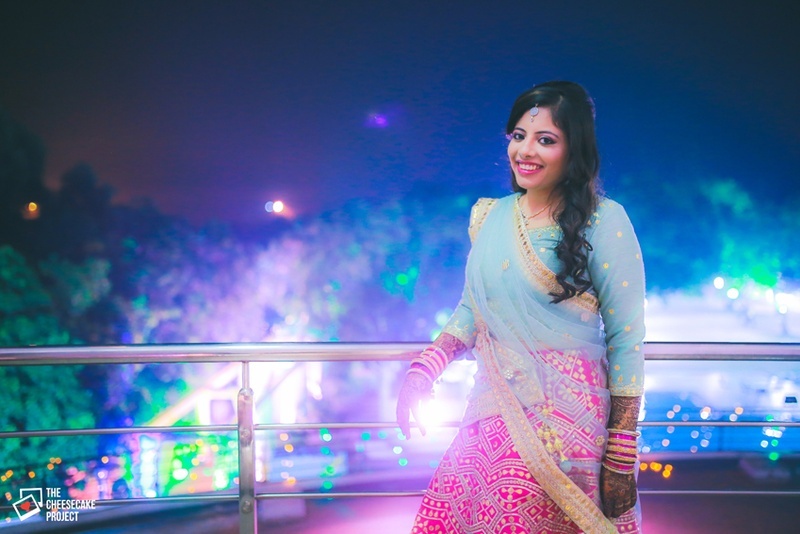 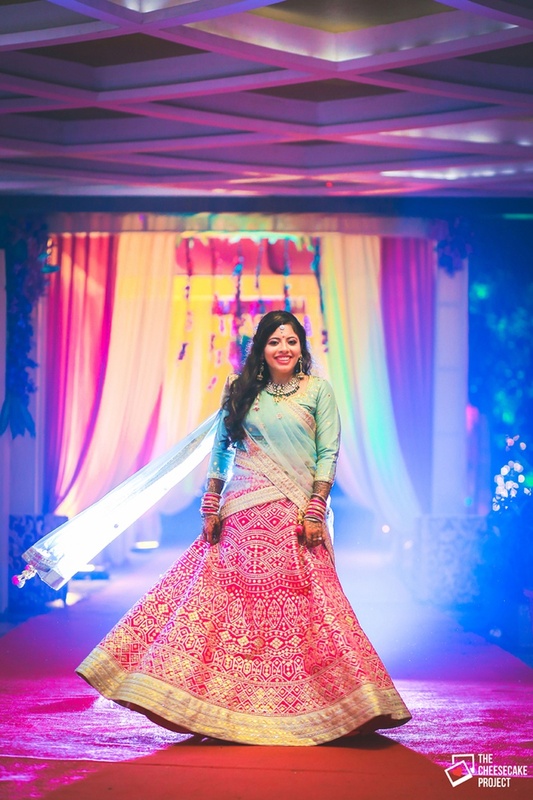 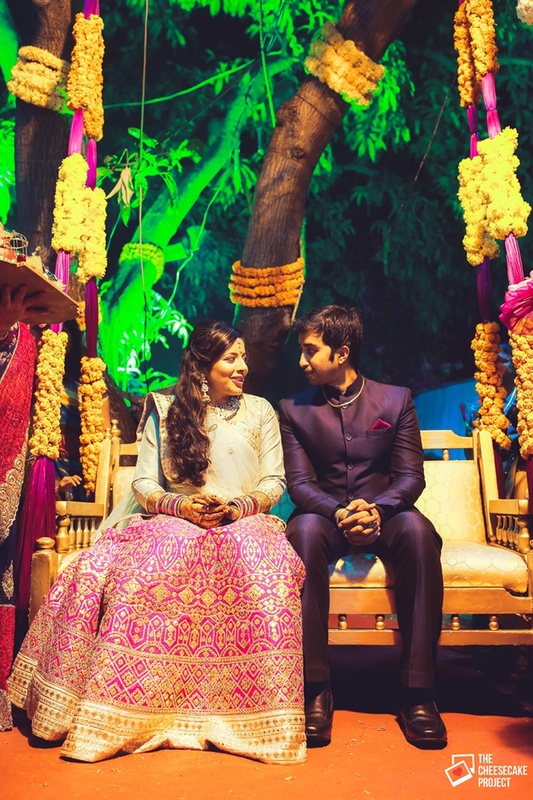 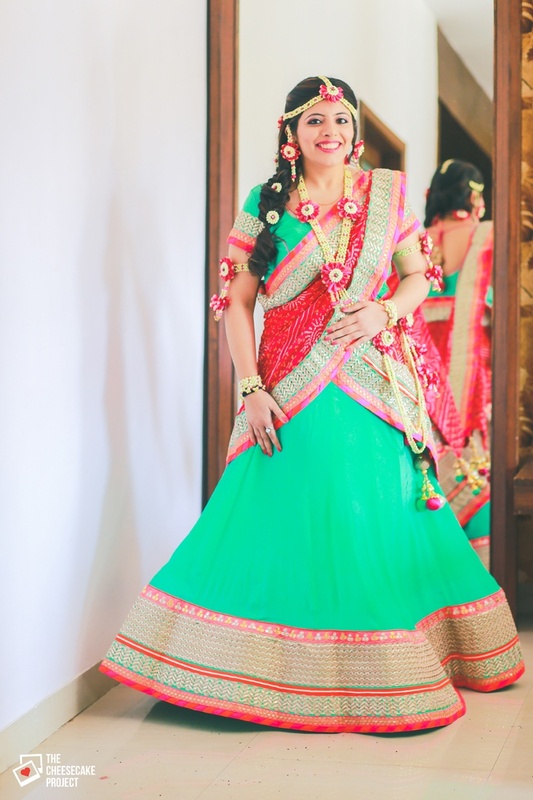 Her bright aqua and pink lehenga from Asbaab Design Studio, Mumbai was an ideal outfit choice for her color-filled Mehndi ceremony. 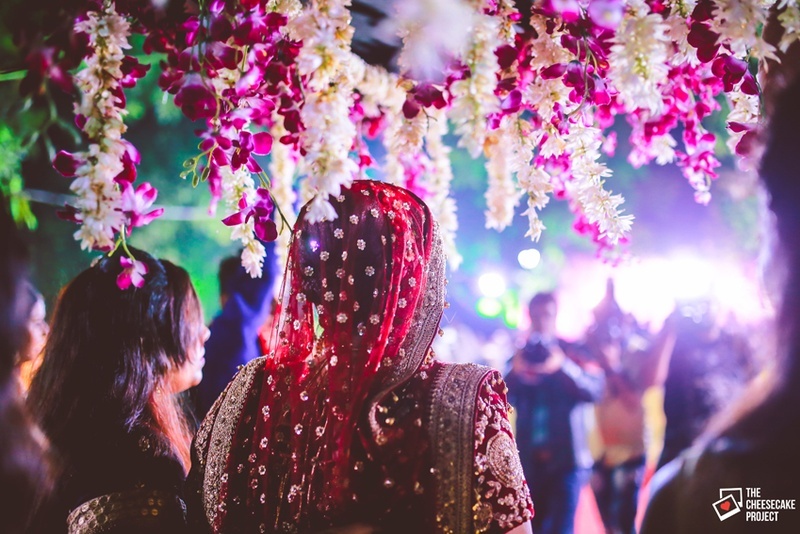 What followed next at this two day mini destination wedding right outside of Mumbai was the engagement ceremony. 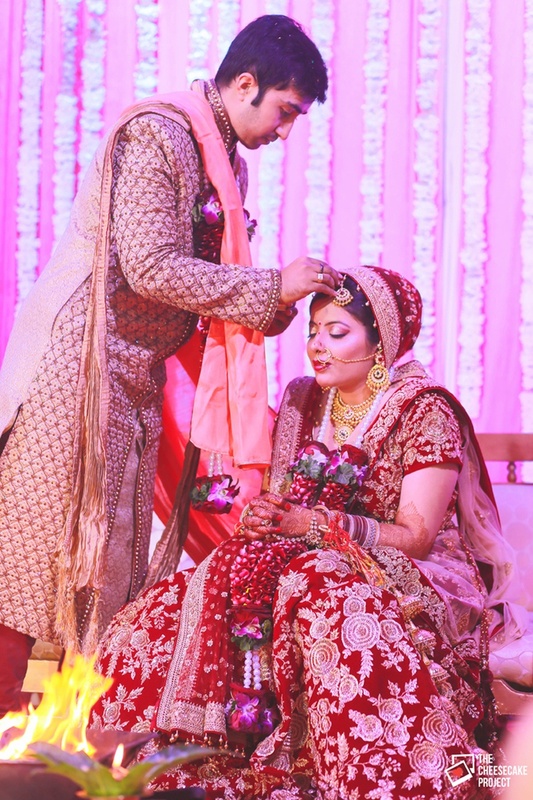 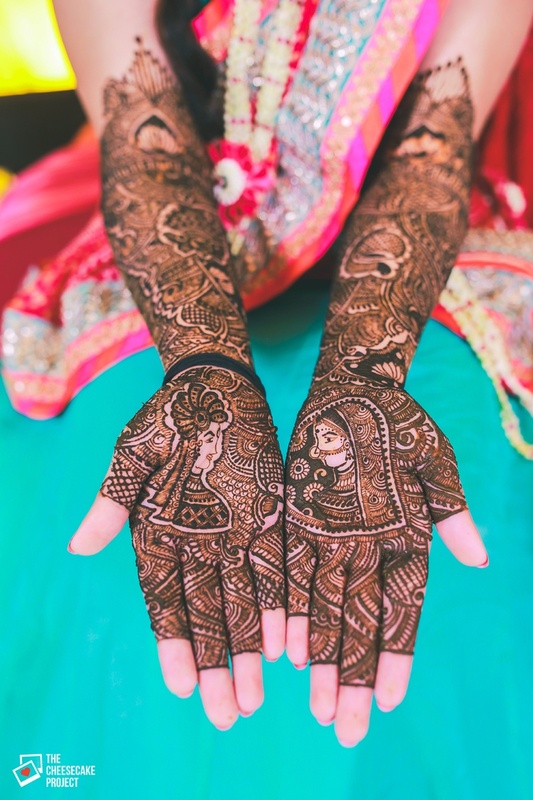 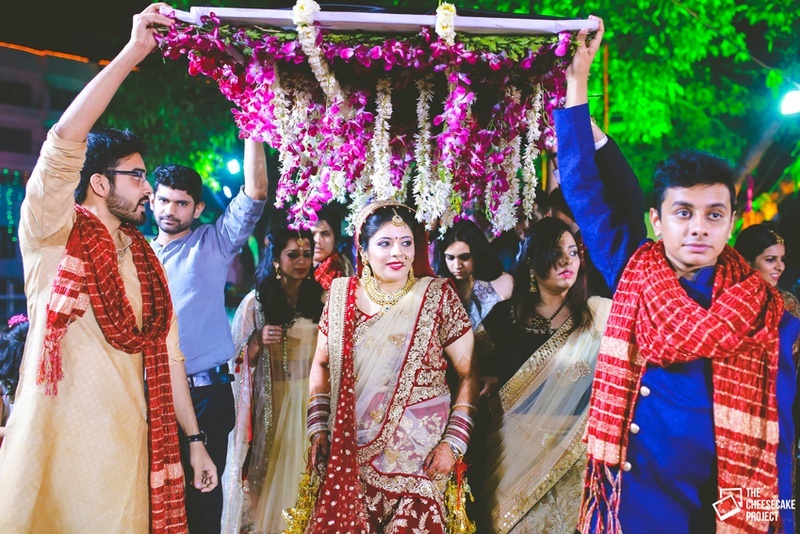 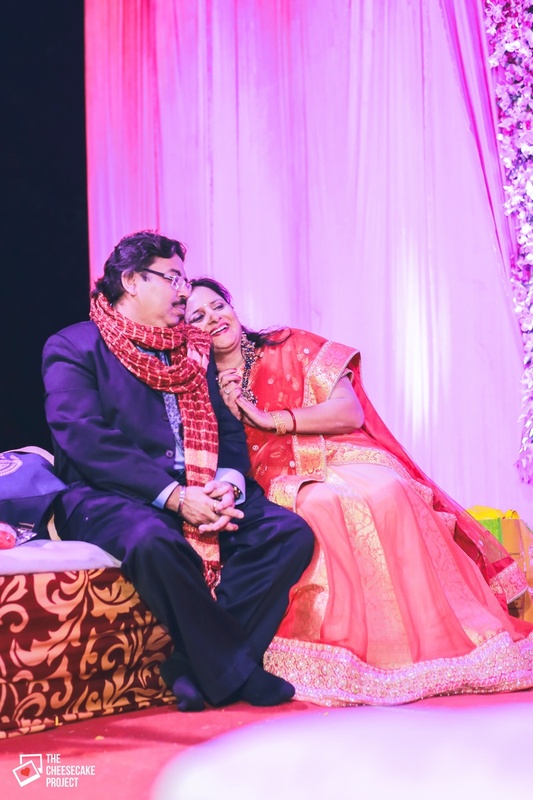 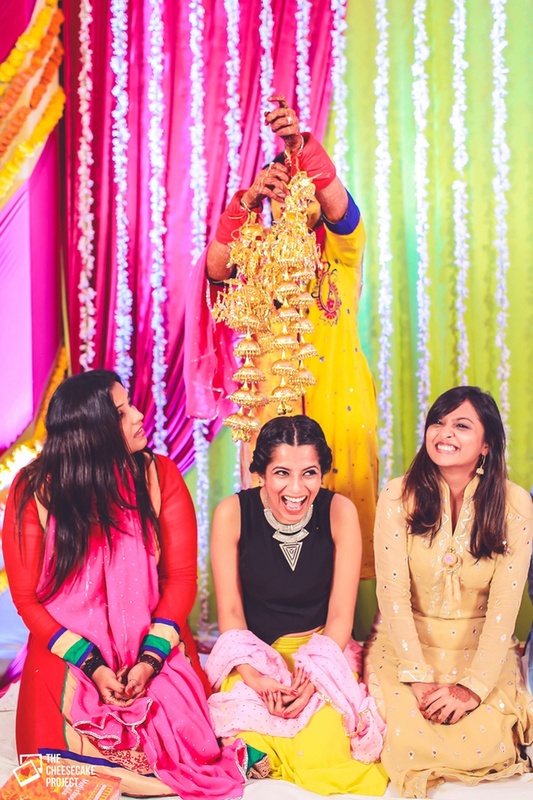 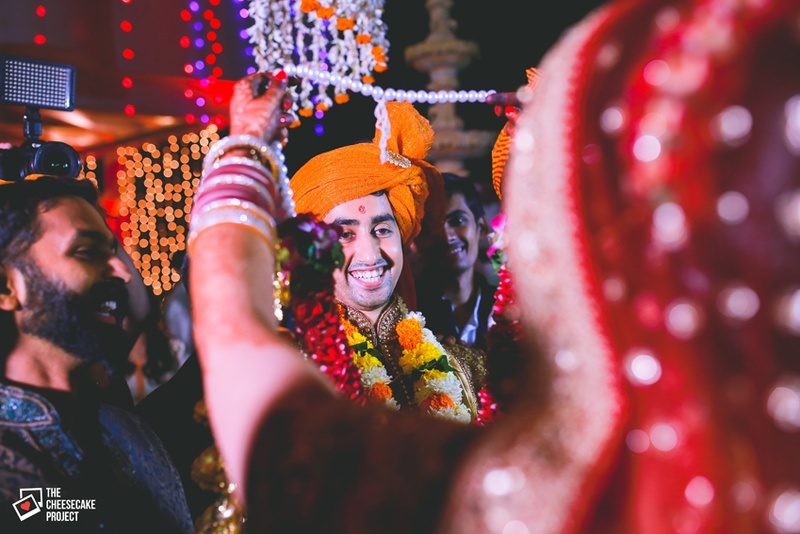 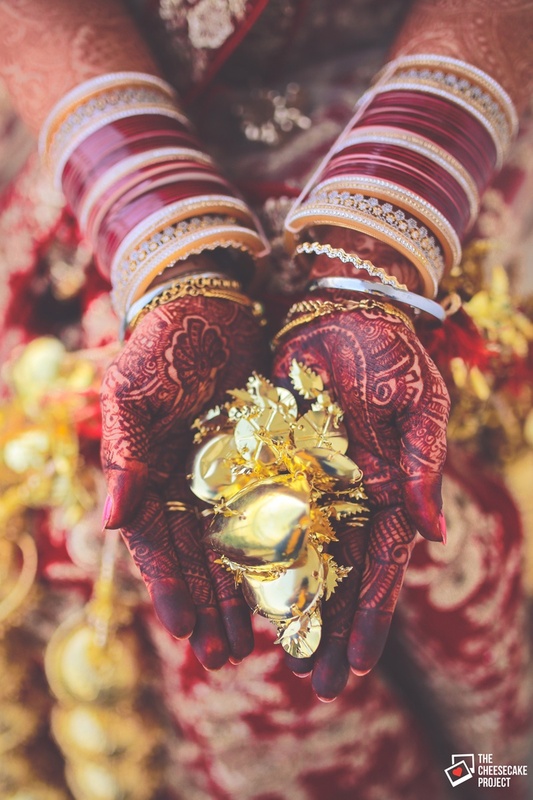 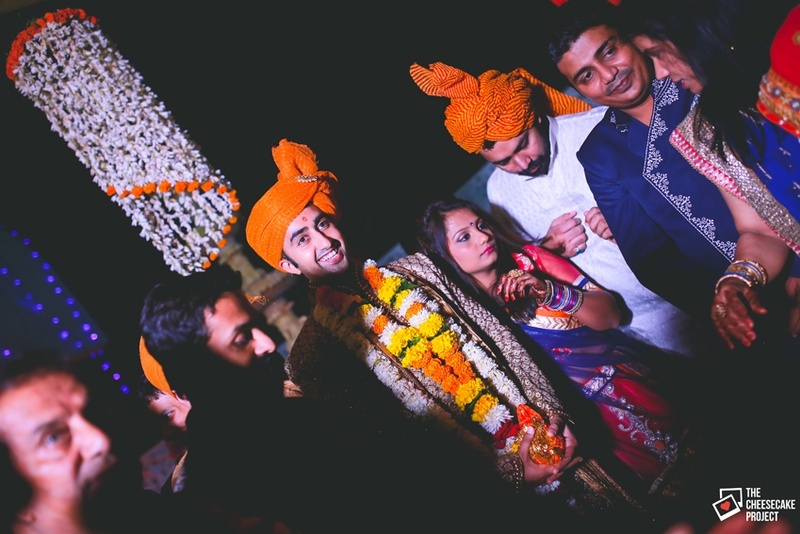 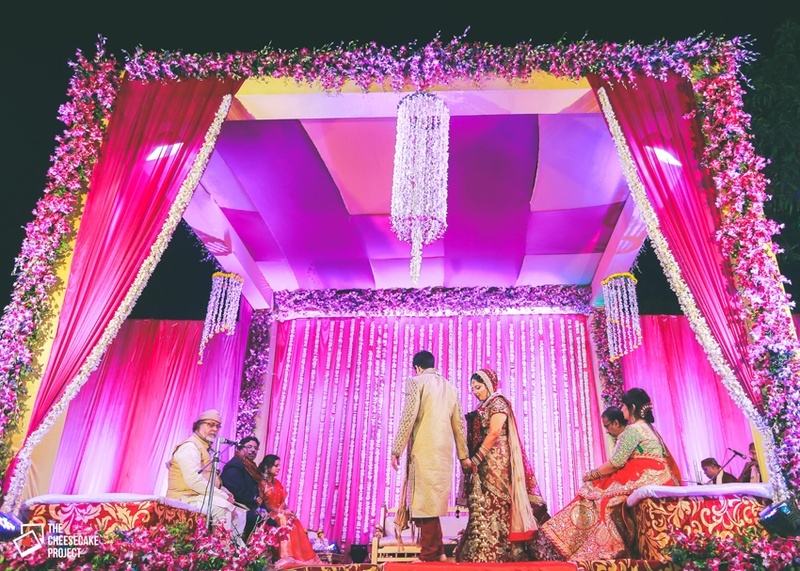 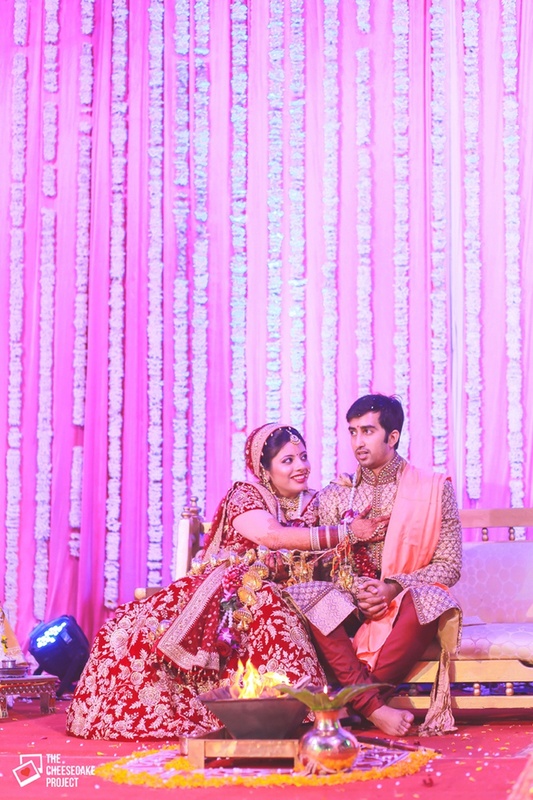 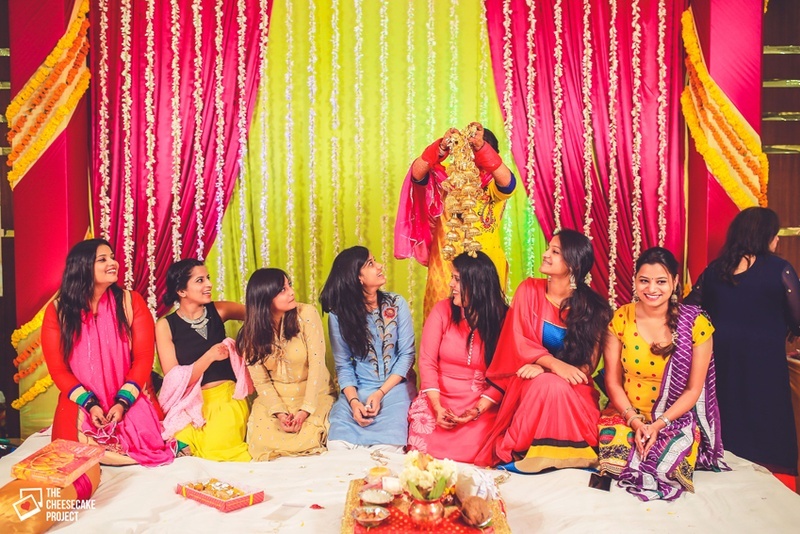 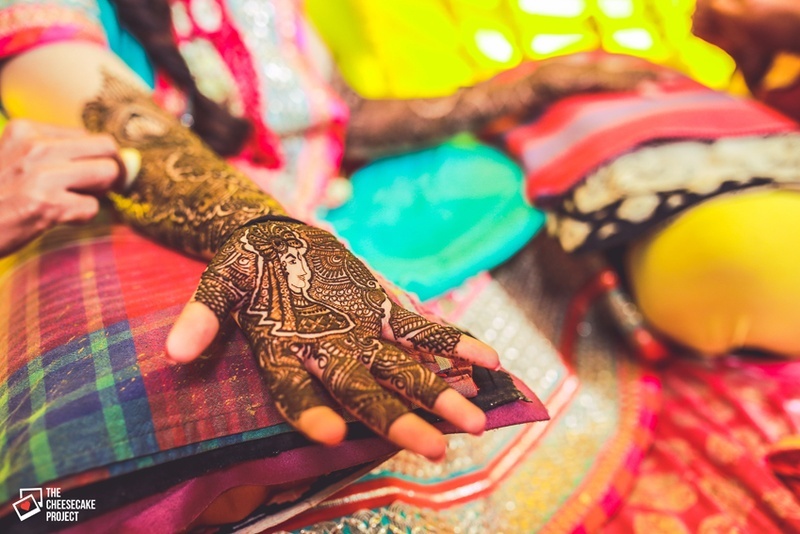 The bride wanted something small and intimate, with no fuss, and hence had a very personal engagement ceremony on a jhoola – now how adorable is that? 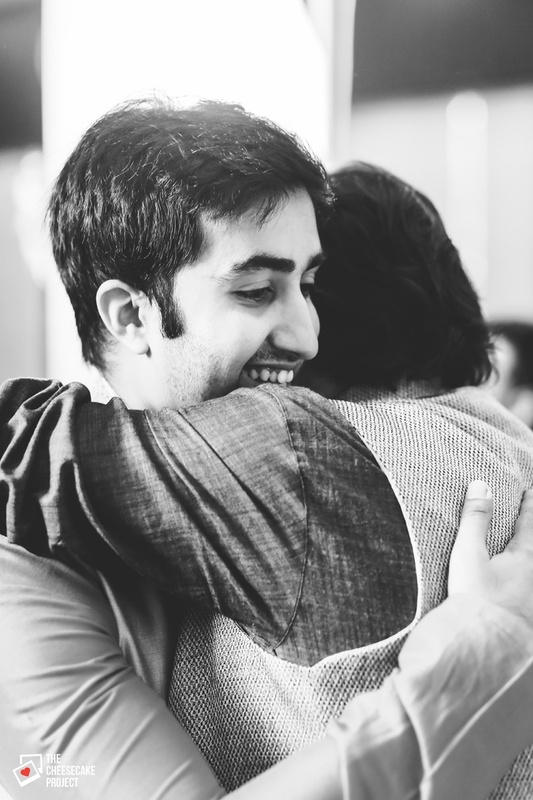 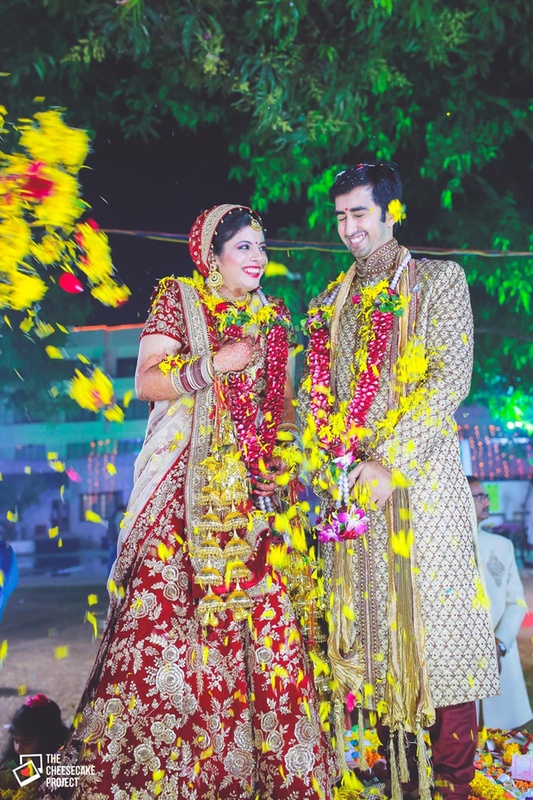 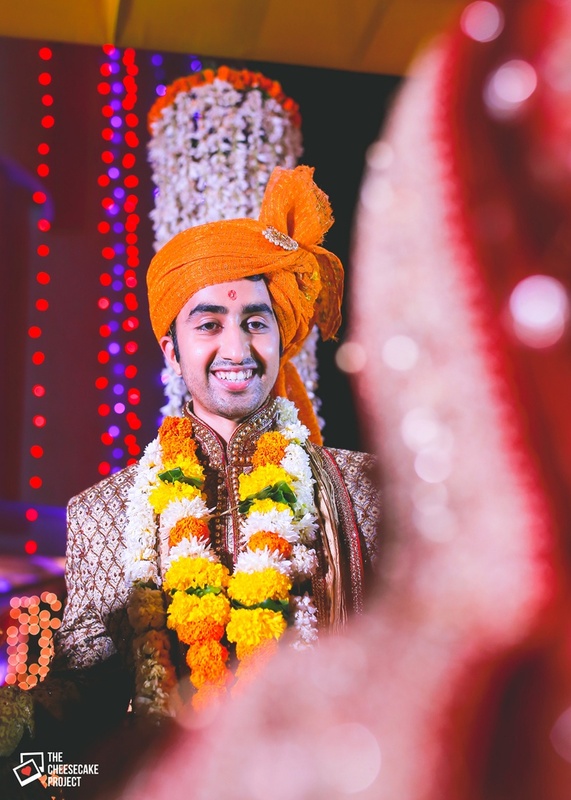 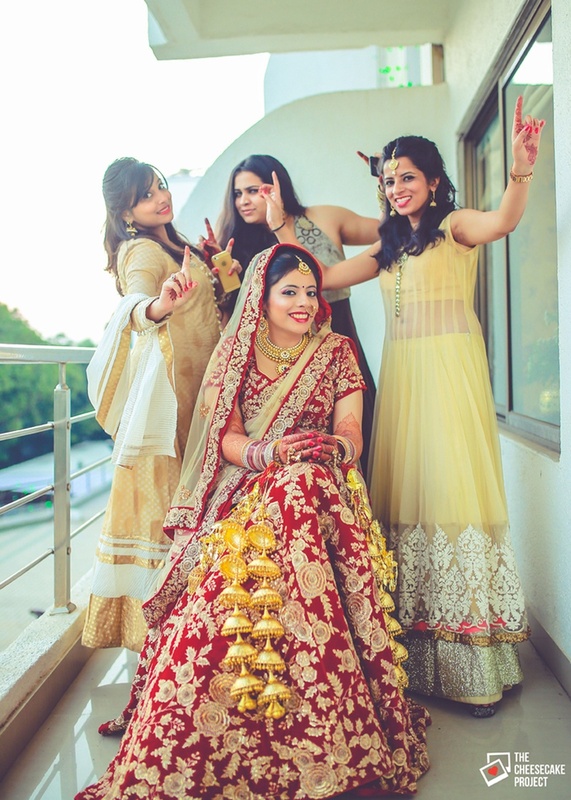 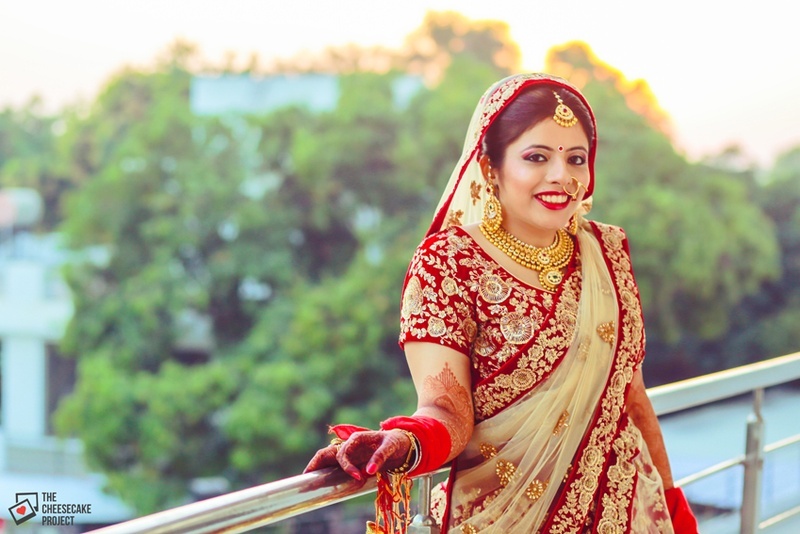 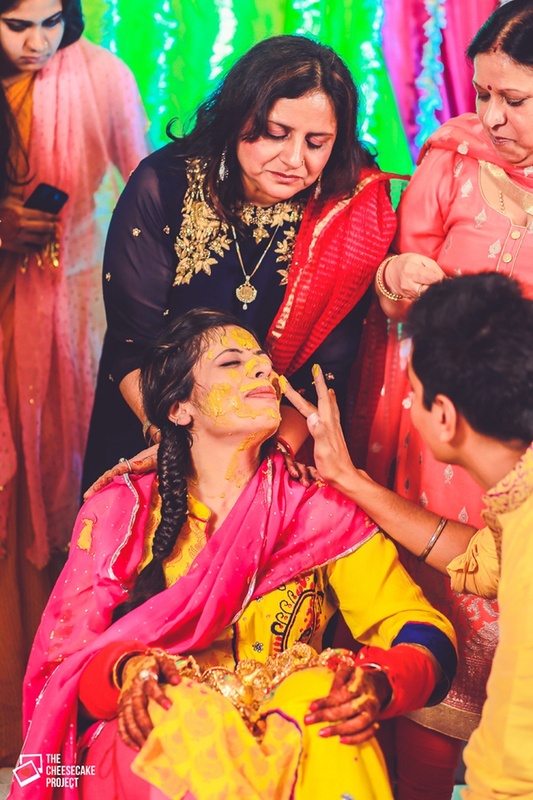 The morning of their wedding saw this gorgeous bride in the simplest yellow kurta for her haldi + chooda ceremony – the simplicity of her outfit and the raw emotion captured in each photograph by The Cheesecake Project had aww-ing so much! 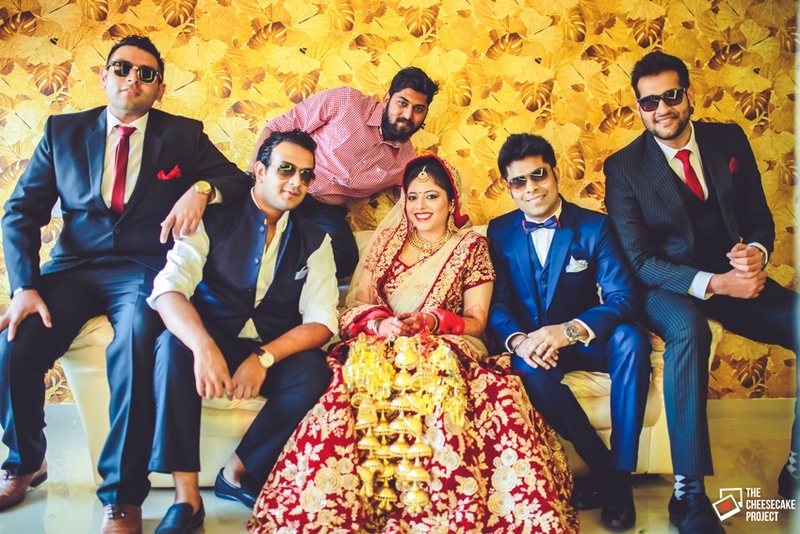 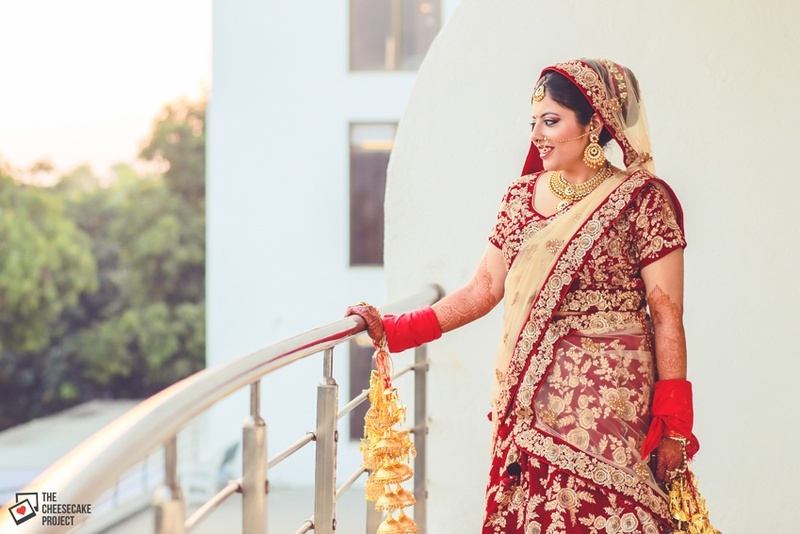 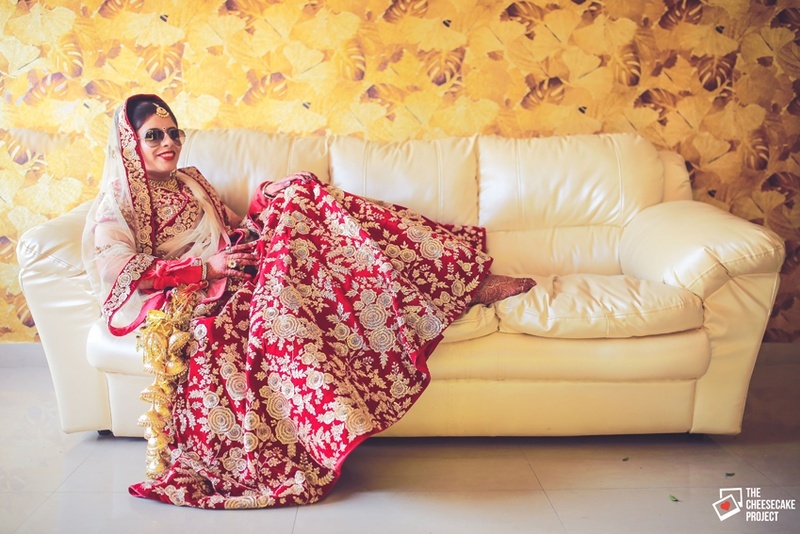 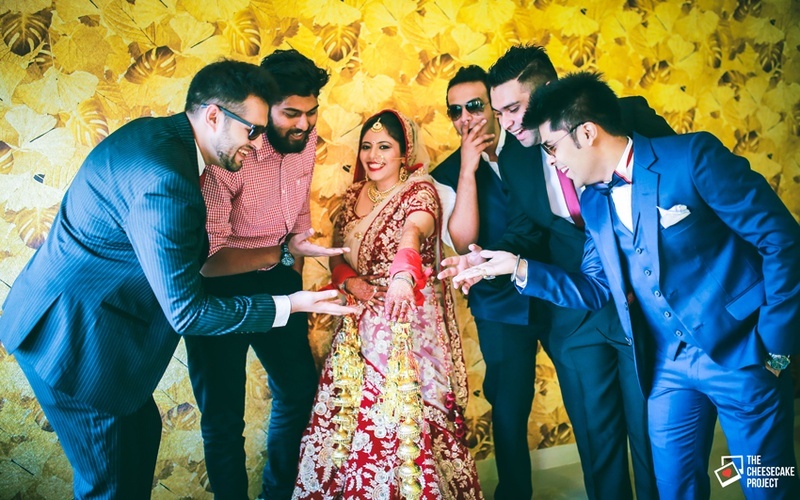 A classic red and gold wedding lehenga with gorgeous gold bridal jewellery from Nenichand Bamalwa and Sons, Kolkata had Ishita looking oh-so-fly, while Alok looked dapper in his dull gold sherwani from Manyavar! 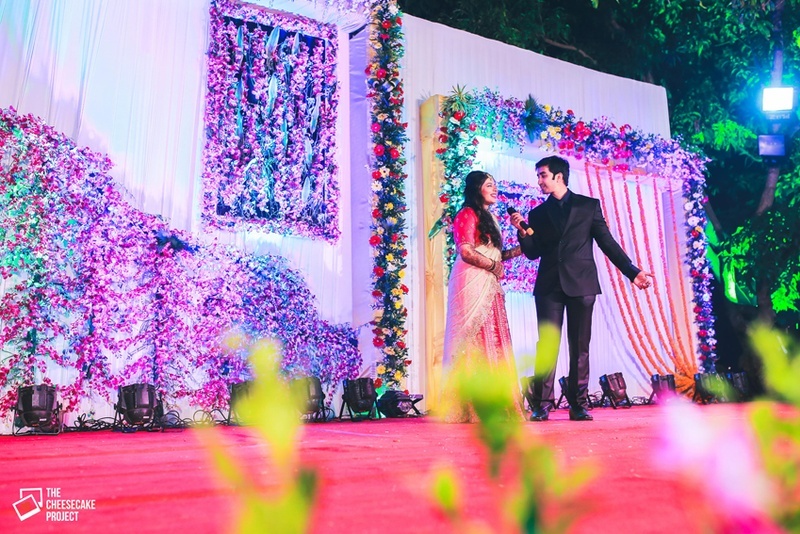 Scroll down to see the gorg pictures of their big day!